Major job losses could be coming soon as the company shifts even more focus towards cloud. 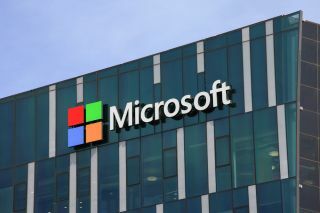 Microsoft is set for a major reorganisation as it moves to focus more on selling cloud services, and less on selling traditional software, according to new reports. A report by the The Wall Street Journal, claims that the Redmond giant has kicked off 'structural changes' first proposed in 2014, when Satya Nadella took over the company. These changes apparently won't affect Microsoft's day-to-day business, but could, possibly, result in thousands of layoffs in the near future, particularly in the company's sales team. Microsoft is playing catch up with Amazon and its AWS, while Google and its cloud services are increasingly breathing down its neck. As the cloud race intensifies, Microsoft is doing all it can to remain competitive, and these types of structural changes ensure that happens. According to the WSJ, Microsoft will focus primarily on enterprise clients, and then on SMBs. The Wall Street Journal believes these potential layoffs would occur in offices all around the globe.